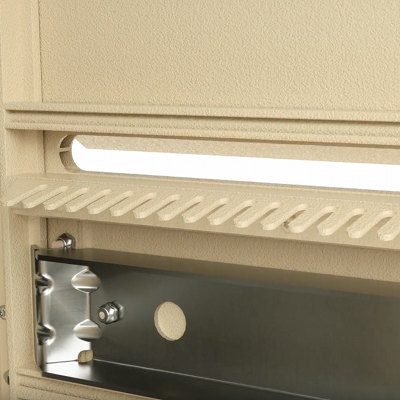 Florence vital™ CBU mailbox and pedestal (included in each mailbox purchase) provides a secure, free standing outdoor solution for your neighborhood centralized mail delivery needs. 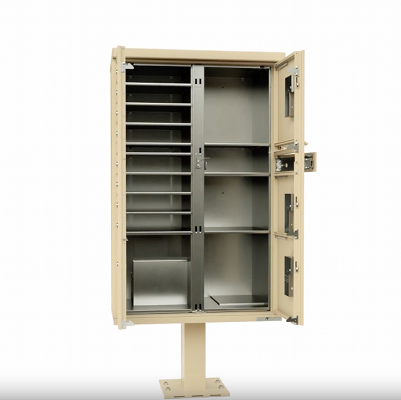 Pre-configured units include built-in parcel lockers and outgoing mail collection for added convenience and can be used alone or in large groupings to accommodate every project type. 12 3" Tenant Standard Mail 3" 12" 15"
1 9-7/8" Parcel Parcel Locker 9-7/8" 12" 15"
1 Master Collection Outgoing Mail 6-1/2" 12" 15"
Tenant doors include heavy duty cam locks, each with three (3) keys. Includes Parcel locker door(s) - a means of USPS package delivery. 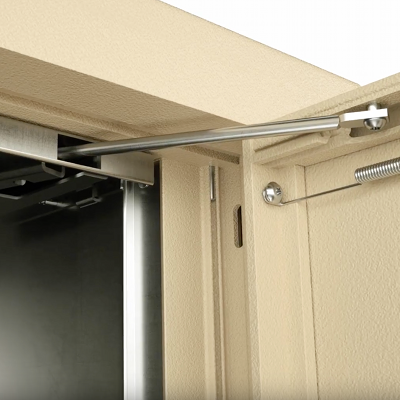 Dual, captive locking system allows USPS to deliver a package to the locker leaving the key in the tenant's mailbox. Package is retrieved by the tenant and key is retained securely in the lock for the Postal Service to retrieve and reuse for the next package delivery. Silver adhesive decals with black numbers 1 thru 12, 1P, are included for door identification.